The art of gift giving, known to the Chinese as 送礼 (sòng lǐ), is a concept which differs drastically between cultures. To some it may be cultural etiquette, for others it may simply be an expression of gratitude. Nevertheless, it is essential to know the gift giving culture of the person with whom you are interacting. Otherwise, a kind and otherwise innocent gesture may be perceived as offensive due to a cultural misunderstanding. Though perhaps stereotypical, the concept of gift giving still trumps many. For those who have grown up in both Western and Eastern (Chinese) cultures, gifts are often a blessing and a curse. To understand why, I will compare the concept of gift giving within the two cultures below. So when should I give gifts? Western and Eastern cultures each have several occasions commonly associated with gift giving; many of these occasions have now been adopted and are shared between the two cultures. Among the many occasions include Christmas, (Chinese) New Year, and weddings. To the Chinese, many feel obligated to send gifts during holidays as part of their tradition. Often one is also expected to bring back gifts when coming back from a trip (a concept likely popularized by the Japanese). Therefore, gift giving to many Chinese people seems more like an obligation, an expectation within their cultural etiquette. On the other hand, in Western culture, gift giving is often an expression of caring and love towards another person. Hence, spontaneous gifts are far more common. Help! Someone gave me a gift, what should I do? In Western culture, receiving a gift is fairly simple. You thank the individual giving you a gift, express your gratitude, and you both go on your merry way. In Chinese culture, it is far more sophisticated. When offered a gift, one is expected to reject, or push away the gift, expressing that the gift giver is far too kind. After minutes of “pushing and shoving,” then you may finally accept it. You can read a bit more on how to decline an invitation or offer in Chinese in our post here. Often times this is a clashing point between the two cultures. To a Westerner who gives a Chinese individual a gift, the “pushing and shoving” is often perceived as not liking the gift, which in many cases can be considered offensive. To a Chinese individual who gives a Westerner a gift, the lack of “pushing and shoving” can be seen as being immodest, and possibly not liking the gift. Now that I received a gift, what is expected of me? In Chinese culture, the etiquette of receiving a gift is to reply with another gift in return, a sign of respect but also obligation. This often generates a cyclical pattern of gift giving, with no end in sight. In Western culture, while there is no obligation to reply with a gift, it is not uncommon to do so. However, in this case, the reciprocal action of replying with a gift is often anchored in care and gratitude. This is another clashing point between the two cultures. 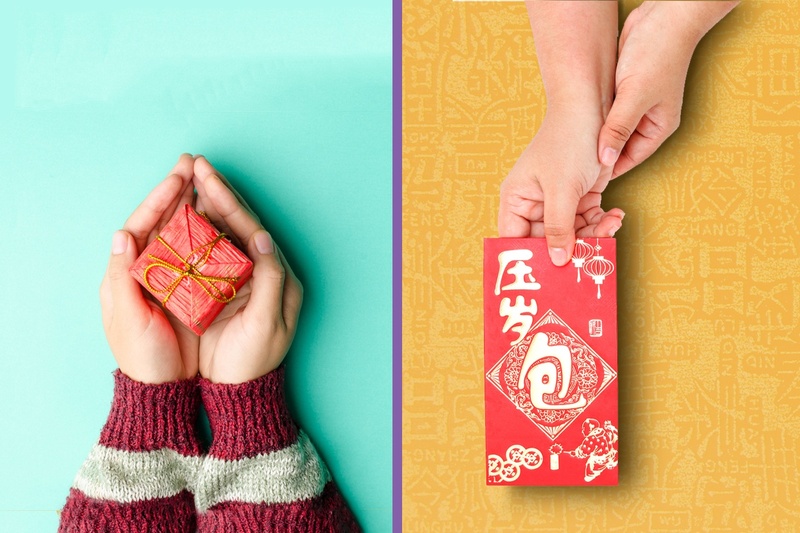 To a Westerner who gives a Chinese individual a gift, sending a gift back in return often creates pressure for the Westerner to do the same, something that is quite foreign to his or her culture. To a Chinese individual who gives a Westerner a gift, if no gift is returned, there is a sense of rudeness and once again can be perceived as culturally barbaric. What kind of gifts should I give? In both cultures, usually any item with sentimental meaning, aesthetic value, or usefulness is considered gift-worthy. However, where this differs is Chinese New Year and Chinese weddings. At Western weddings, it is not uncommon to gift household items such as a set of pots and pans, expensive silverware, or even small appliances like toasters. However, at Chinese New Year and Traditional Chinese weddings, Chinese people often give gifts of 红包 (hóng bāo). These are red envelopes filled with cash. How much cash you give is at your discretion. The closer you are to the person, the more you may feel obligated to give. Related: I went to a Traditional Chinese Wedding. Here’s What Happened. WHAT GIFTS SHOULD I AVOID BUYING? There are certain things in China that you should avoid gifting, because of the double meaning they have. Here’s a brief list of things that must never be given as gifts in China. 1. Clocks: The phrase “gifting a clock” which is “送钟 (sòng zhōng)” sounds like “送终 (sòng zhōng)”, which carries a connotation of death. It means finishing all affairs of a burial ceremony. Therefore clocks are a big no-no. Watches,(手表 shǒu biǎo), may be acceptable. 2. Umbrellas: The word for umbrella, “伞 (sǎn)” sounds like “散 (sàn)” which means “to separate.” By giving someone an umbrella, you are suggesting that you want the relationship to end. 3. Green hats: the phrase “to wear a green hat” or “戴绿帽 (dài lǜ mào),” means that the man’s wife is cheating on him. I feel conflicted after reading this post, what do you suggest I do? The purpose of this post was written to convey the differences of gift giving between different cultures. There is no perfect compromise or solution to such a delicate topic. However, the intent is to allow you to step inside the shoes of another culture, and prevent misunderstandings in the future! After all, a gift doesn’t have to be a curse in disguise. Allen has a B.S in Honours Physiology from McGill University and is currently pursuing a medical degree (MDCM) at McGill University. Born in Taiwan and raised in Canada, he is fluent in English, Mandarin, and Taiwanese. He is currently learning French. 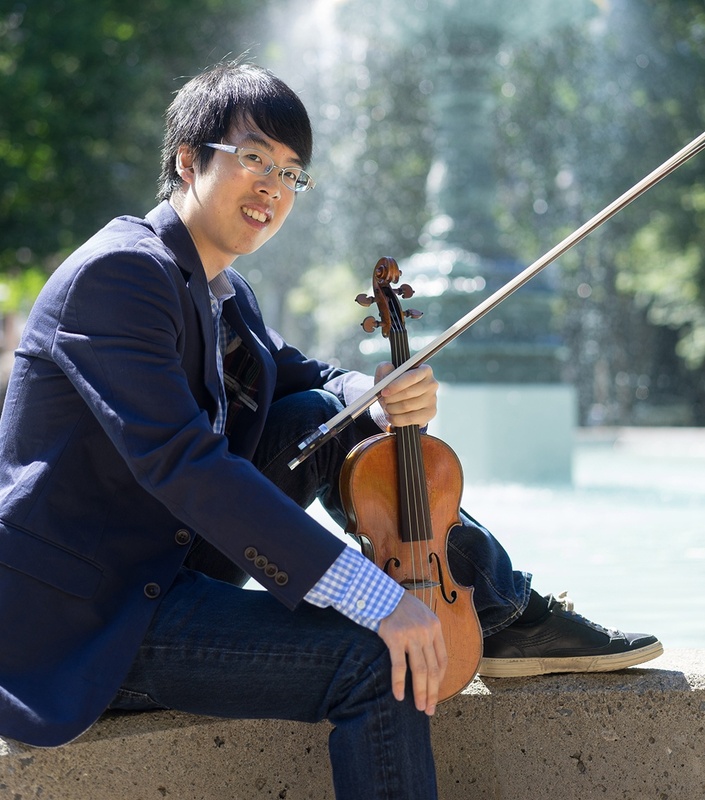 In his free time, he is a violinist, performing live and on YouTube.